Words and Music: Permitted with a license from LicenSingOnline.org. If you do not own this license, please report and pay for your usage at their website or contact the copyright holder for permission. “Toda la tierra” makes use of a whole host of Advent images to announce the imminent arrival of the One for whom the whole world is waiting (st. 1). He is “God with us” (st. 2), and, along with the mountains and valleys, we must prepare for his coming (st. 3). Though born in a stable, he is present in the world today, with and in his people, proclaiming and brining liberty (st. 4). In this song, it becomes clear that the one waited for is “Emmanuel—God with us.” The confessions of the church are very eager to identify that Emmanuel as the only Son of God “according to his divine nature” (Belgic Confession, Article 10). Heidelberg Catechism, Lord’s Days 11-13, Questions and Answers 29-34 put great effort into explaining why he is called Jesus, Christ, and God’s only begotten Son. When stanza 2 of “All the Earth is Waiting” sings “a virgin mother will bear Emmanuel,” it is worth considering Heidelberg Catechism, Lord’s Day 14, Question and Answer 35, which explains what the virgin birth and conception by the Holy Spirit means. and the fellowship of the Holy Spirit be and abide with us all. you heard your people yearning for a Savior. Thank you for sending your Son so long ago. and every tear will be wiped away. so we long for all these promises to be fulfilled. Amen. as we eagerly await your coming again. Amen. even as we long for your return. for the beauty of creation . . .
for your work in the world . . .
for signs of peace and reconciliation . . .
for our community and its leaders . . .
for your work accomplished through your church, especially for . . .
For all these reasons and so much more we give you praise. for the day in which there will be no more sorrow, pain, or death. those in authority . . .
the needs of the community . . .
the church universal, its mission, and those who minister . . .
the local congregation and its ministry, especially . . .
those with particular needs . . . The simple tune, in rounded bar form (AA'BA), is intended for unison singing. Your congregation or youth choir can sing "All Earth Is Waiting" during any Sunday in Advent. Light keyboard accompaniment is appropriate; for a more Spanish flavor, use guitars and castanets (or wood blocks). 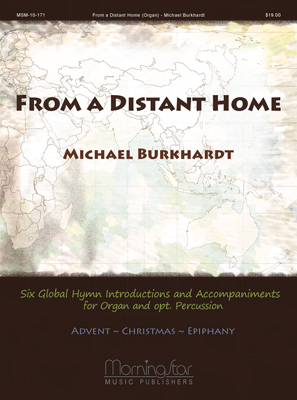 Nearly any collection of instruments can accompany this Advent hymn—organ, light guitar, piano. If you use a praise band, the feel of ‘70s soft rock is just about right for this song, perhaps also with maracas and wood block. Play at a relaxed tempo, breathing every two measures. Take your dynamic cues from the natural arch of the melody. A descant for C and Bb instruments can be found in Sing! A New Creation #93. Alberto Taulé lived and worked in Barcelona, Spain after studying theology and sacred music in Rome. His music is in a Spanish folk style that made its way into the Catholic Church after Vatican II. It should be played simply and without the syncopations associated Latin American music. Alberto Taulé (b. Barcelona, Spain, 1932; d. March 24, 2007), a Roman Catholic priest and musician from the culturally distinctive and semi-autonomous Catalunya region of northeastern Spain, originally wrote both text and music. The text is the one translated here by Gertrude Suppe, someone who has done much to make Spanish hymn texts available in English. This hymn was included in Cantoral de Missa Domincal Centre de Pastoral Liturgica in 1972, a post-Vatican II collection of folk hymns.